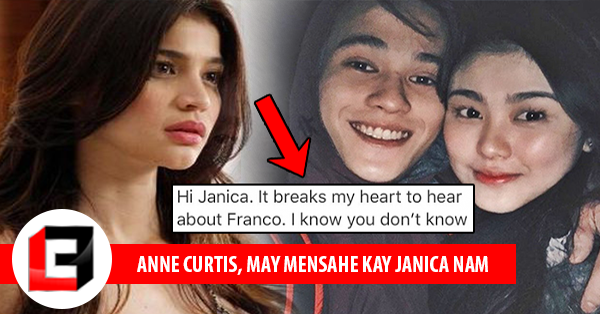 Home / Entertainment / News / Showbiz / Viral / Janica Nam, Hindi makapaniwala sa naging Mensahe ni Anne Curtis tungkol sa Pagkawala ni Franco! 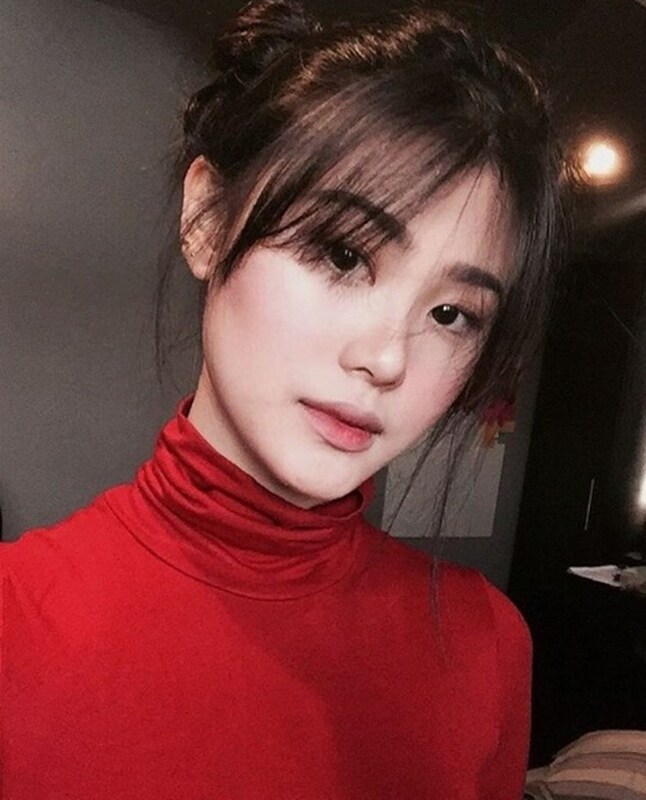 Janica Nam, Hindi makapaniwala sa naging Mensahe ni Anne Curtis tungkol sa Pagkawala ni Franco! 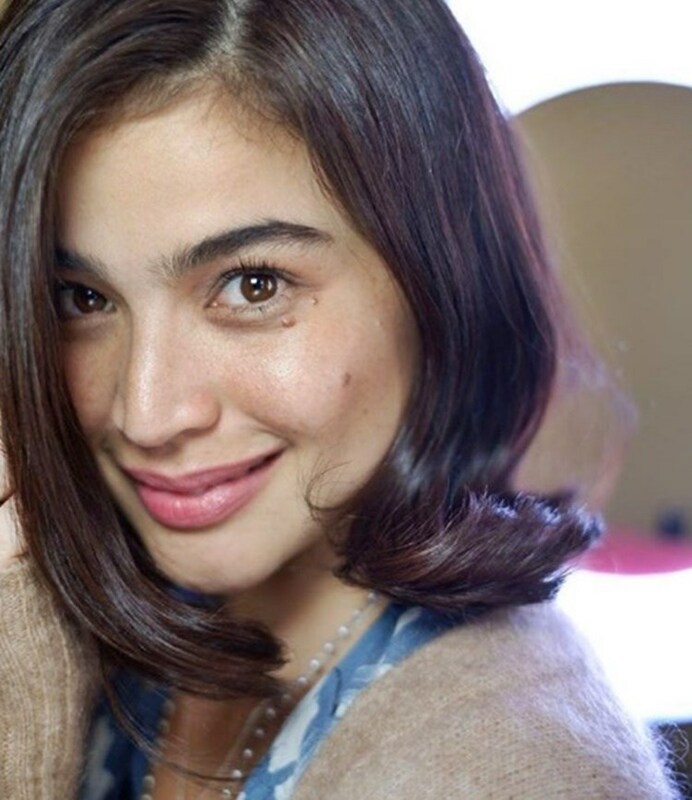 Franco Hernandez’s girlfriend Janica Nam Floresca thanked Anne Curtis for the actress’ touching message for her. 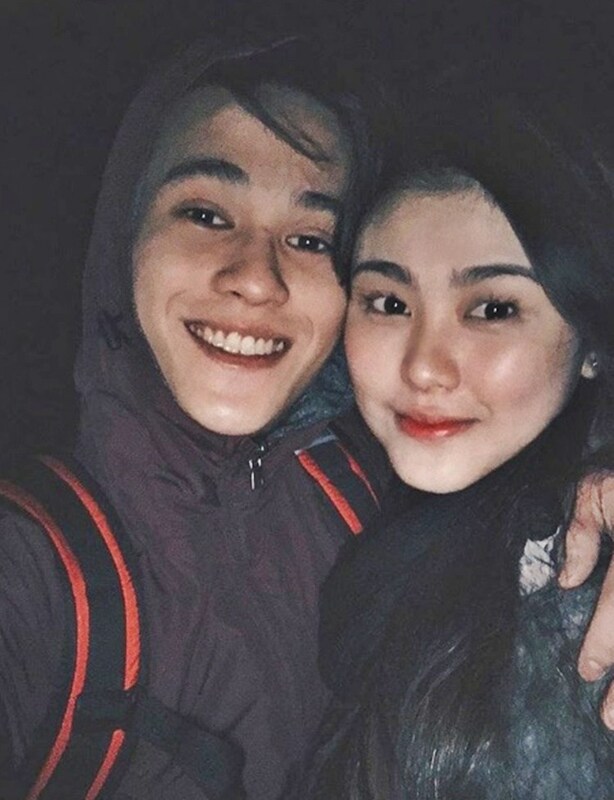 For the previous months, countless hearts had been broken because of the death of the “kilig” ambassador and Hashtags member Franco Hernandez after a tragic incident they have encountered in a resort. According to a previous report, they were on their way back to North Lamidan, Don Marcelino town when the banca they are in was hit by a big wave which caused them to jumped into the water. As the people who are operating the water transportation pulled them back, Franco was already unconscious. And when he is brought to the nearest clinic, he was already found dead upon arrival. 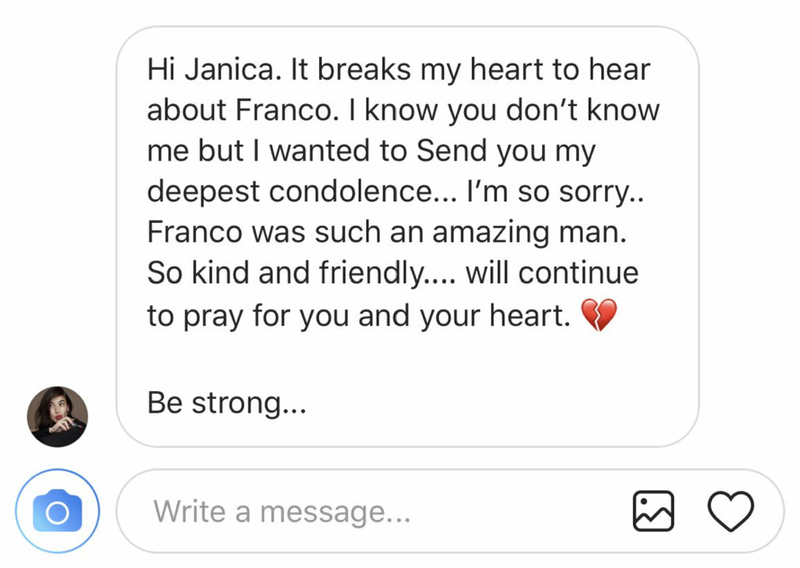 Aside from the family who is still probably in deep grief upon great loss, Franco’s girlfriend Janica, was also hurting. 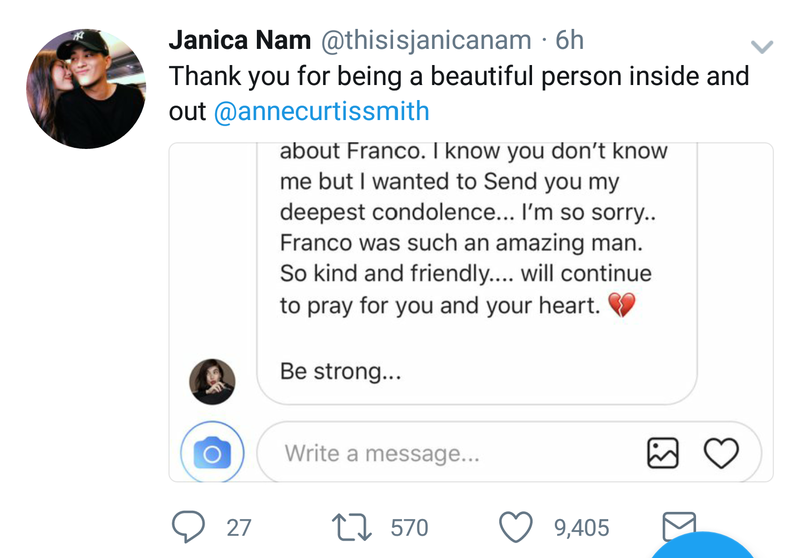 And recently, on the Twitter account of Janica, is where she shared the private message the actress and host Anne Curtis has sent her. This post has then gathered comments from the people of the social media community. This is the reason why I love her and I admire her. She is real, generous, lovable, caring.. SHE IS BEAUTIFUL. I love you Anne!? I would love to meet you one of these days God bless. Be strong andto lng kami para sau. Nandito lang kaming lahat para sayo, ate just pray always, god bless. What can you say about this? Share us your thoughts by simply leaving in the comment section below. For more news and latest updates, feel free to visit our site often. Thanks for dropping by and reading this post.